The US Congress must call on the State Department to investigate the use of American-made tear gas canisters, bought with U.S. military aid, and used to target civilians. I could barely believe the photo. On December 9, an Israeli peace activist with a camera caught the exact moment an Israeli soldier pointed his weapon out of the back of a truck and shot a young Palestinian man in the face. The man’s name was Mustafa Tamimi and he was hit at close range by a tear gas canister. He died later of severe brain injuries. Chances are that tear gas canister was made in the United States, which is why I want you to contact Congress now and ask for an investigation into the deadly misuse of tear gas by the Israeli army. Tamimi was inside his own village, Nabi Saleh, at the time of the shooting, protesting the theft of its land by settlers. Tear gas canisters like the one that killed Tamimi have already permanently injured or killed many more unarmed protesters trying to protect Palestinian land. Most of these canisters are made in the United States by Wyoming-based Defense Technology and Pennsylvania-based Combined Systems Inc. (CSI). We've seen these same tear gas canisters being used against unarmed pro-democracy protesters in Arab Spring protests from Cairo to Bahrain. Shamefully, they are also being used in the United States, where Occupy-Oakland activist Scott Olsen suffered a critical brain injury after being shot just blocks from where I’m sitting now. The U.S. Arms Export Control Act (Public Law 90-829) limits the use of U.S. weapons given or sold to a foreign country to “internal security” and “legitimate self-defense” and prevents their use against civilians. And yet civilians are being targeted and killed. Congress must ask why. Only yesterday Congress released a new condition, as part of the the foreign operations portion of the spending bill, asking the State Department to submit a report "detailing any crowd control items, including tear gas, made available with appropriated funds or through export licenses to foreign security forces that the Secretary of State has credible information have repeatedly used excessive force to repress peaceful, lawful, and organized dissent ." This is a good and important first step. Yet while the concern in Washington is about the terrible misuse of U.S.-made tear gas in countries such as Egypt and Bahrain, we need to remind Congress that similar abuses in Palestine cannot be ignored. On January 1, 2011, Jawaher Abu Rahmah died after she was choked by tear gas at a protest in Bil’in . Her brother Bassem Abu Rahmah was killed when he was shot by an Israeli soldier directly in the chest with a tear gas canister in April 2009. In March 2009, an Israel soldier shot Tristan Anderson, an American citizen, in the head with a tear gas canister during a demonstration in Ni'ilin, leaving him partially paralyzed with permanent cognitive impairment . Also severely injured was Bil'in resident Khamis Abu Rahmah, who suffered a fractured skull and brain hemorrhage. Another U.S. citizen, 21-year-old Emily Henochowicz, lost her left eye when an Israeli soldier fired a tear gas canister directly at her, striking her in the face during a West Bank protest in May 2010. Not even children are safe. In September, 2010 an 18-month-old child died at a hospital after being choked by tear gas in East Jerusalem. These tear gas canisters are lethal. Congress must order the State Department to investigate right away, before another person gets killed. No more gas. No more tears. 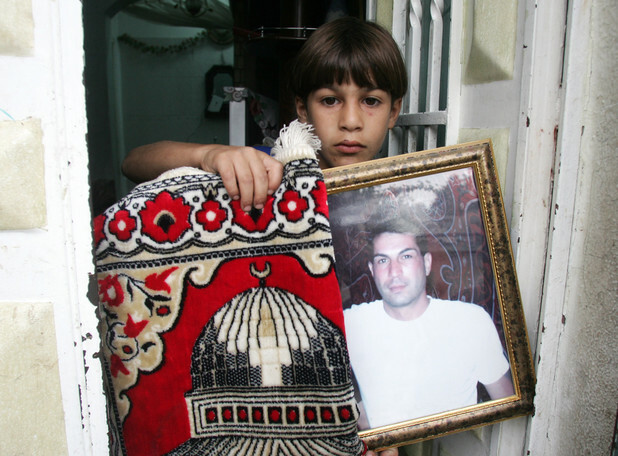 A photo of Samer Sarhan, killed by a settler security guard in 2010, is held by one of his six children. The 41-year-old father of two said that he was shot in full view of private security guards, who were employed by Israeli settlers in Silwan, shortly after he confronted the settler who had threatened his child. According to the Association for Civil Rights in Israel (ACRI), 350 private Israeli security guards are currently employed in East Jerusalem by private security firm Modi’in Ezrahi, which is subcontracted by the Israeli Ministry of Housing and Construction. The guards’ stated purpose is to protect approximately 2,000 Jewish-Israeli settlers living in East Jerusalem from the Palestinian population of the area. In an attempt to combat the lack of accountability benefiting these settler security guards, ACRI and Palestinian residents of East Jerusalem submitted a petition to the Israeli high court on 31 October, demanding an end to their use in Israeli settlements in the city. “Unlike police officers, who are subject to the laws and ordinances governing police behavior, private security guards in East Jerusalem do not labor under these laws, nor do they share any commitment to the basic norms that guide the police in carrying out their role as a public body serving the entire public and not just one particular sector,” ACRI wrote in its high court petition. “Whenever privatization increases the potential for violating human rights and endangering human life, an increased level of oversight must be demanded and more sophisticated and effective supervision mechanisms put in place, by as many regulatory bodies as needed. Unfortunately, regarding the current security arrangement in East Jerusalem, this is not the case,” ACRI found. In 2005, the Israeli housing ministry appointed a public committee to investigate the security arrangement in Israeli settlement compounds in the Old City and East Jerusalem. The committee recommended that responsibility for security be given back to the Ministry of Internal Security and the Israeli police. Still, while the Israeli government voted in a resolution to implement this recommendation, it shortly thereafter revoked its decision and returned the situation to the status quo. According to ACRI, the budget for this private system of protection in East Jerusalem has grown from seven million Israeli shekels ($1.8 million) in 1991 to 76 million shekels ($2 million) in 2011, a sum entirely financed by Israeli taxpayers. “As stated in Article 7 of the 1948 Universal Declaration of Human Rights, ‘All are equal before the law and are entitled without any discrimination to equal protection of the law’. The decision to operate private security guards, funded by the state, in order to protect one segment of the population, Jewish, from the other segment of the population, Palestinian, clearly violates this principle,” ACRI found. 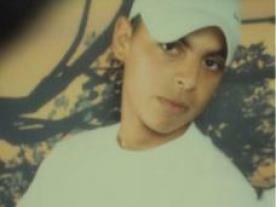 In September 2010, Silwan resident Samer Sarhan was shot and killed by a settler security guard. Sarhan’s death sparked violent clashes in the neighborhood between Israeli police and Palestinian youth, while the security guard responsible was never formally charged in the killing. A settler security guard also shot and killed 17-year-old Milad Ayyash in May of this year, when clashes broke out between Palestinian youth and Israeli security forces near Beit Yonatan, an Israeli settlement compound in Silwan’s Baten al-Hawa neighborhood. The guard claimed Ayyash had been involved in the clashes and that he wasn’t held responsible for his death. “The settler security guards are like a militia. They can do anything and they have the green light from the state to do anything they want,” Ahmed Qaraeen said. According to Qaraeen, while limiting the impunity with which settler security guards operate is important, the only way to ensure the safety of Palestinians in East Jerusalem is to dismantle the Israeli settlements there completely. “The settlers, the guards, the police, they are all the same. They all have weapons. The thing that we need is to get the settlers out of our village. The settlers brought for us problems. They brought for us the police, the security guards,” he said.